By this time of every year, we have already dismissed our new diet and fitness regime as an unworkable fantasy, we have already suffered with a horrendous head cold and we have considered quitting our job on at least half a dozen occasions. But the mornings are getting ever so slightly lighter and, hey, there’s some crocuses flowering over there so the downhill momentum towards a hedonistic summer of relentless partying and sunshine, yes even in Leeds, is on. February is that month where nothing really happens apart from FA Cup replays and the mother-in-law’s birthday, and it is one of those periods where the winter seems to be going on forever, even though we are starting to make plans for a brighter, warmer and happier time. But there is one key date that we would all be foolish to forget, February 14th, and of course we won’t this year, for two reasons. Firstly, the love of our life deserves a treat on Valentine’s Day and the date is imprinted on our mind because we wouldn’t want to miss an opportunity to express in the form of chocolates, flowers or a four-pack of beers how much we respect, savour and cherish every moment with our loved one. And secondly, because Leeds United are at home that day. Across the land, when the 2016/17 fixtures came out last June, every Leeds fan made a mental note to thank the Football League for once again scheduling a home game for Valentine’s Day, so that the extra effort we make on February 13th will really go down a treat and be remembered fondly as we disappear out of the door 24 hours later just as our other half is chilling the champagne and rustling up a three-course feast. So yes, for us Leeds fans it is a thrice-cooked pie warmed up from last Saturday’s home game and returning home to our dinner in the bin or the dog’s stomach instead. But such is life, and secretly we suspect, and indeed hope, that our loved ones would prefer the telly and the chocolates all to themselves anyway. And it doesn’t mean that love isn’t in the air on February 14th, because Leeds United fans have fallen in love with this team. New signings such as Luke Ayling, Kyle Bartley and Pablo Hernandez have gladdened our hearts like none of the endless stream of mediocrity passing for Leeds United players have in the last decade or more, while youngsters like Ronaldo Vieira and Kalvin Phillips show an energy and vitality that we love to see in our Academy products. Even established players like Chris Wood, Stuart Dallas and Charlie Taylor have won over fans this season and it is refreshing to see a Leeds United team gelling as a unit and bringing out the best in each other, rather than plodding around aimlessly and showing no evidence that they work on anything in training during the week. But there’s one man who has enamoured himself to the Elland Road crowd to a degree not seen since Vinnie Jones grabbed us by the throat, fixed us with his enraged eyes and drafted out a contract insisting we loved him, written in our own blood. That man is Pontus Jansson. For a long time the Leeds United faithful have been looking for heroes, at some points just anybody who can take responsibility and maybe score the odd goal or 20. But the panorama has been so bereft of quality, leadership and character and the Elland Road atmosphere has reflected that barren emptiness. It is not solely Pontus that has ignited the fans this season, of course, but he is a huge part of it and the first Leeds player since Luciano Becchio to have a rousing song about him sung endlessly on repeat. Jansson arrived at Elland Road as a lost soul himself; un-selected and unloved at Torino in Italy and disillusioned with the game, and in Leeds fans he has found a reciprocal need for attachment and belief in something real. 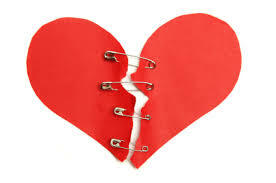 Has there ever been a more compatible coupling of two parties so adrift and disorientated and so in need of each other? 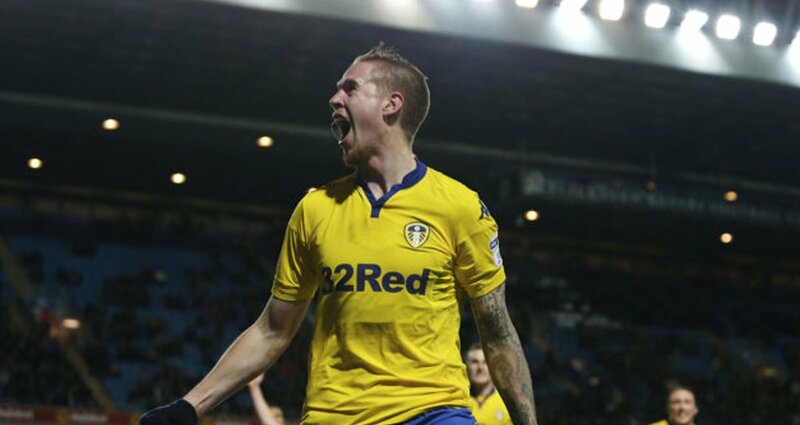 Jansson is the kind of player who not only understands Leeds fans and what they need, but has the personality, fearlessness and bravado to pull it off. Many have tried and many have failed, but in Jansson we have the real deal, and now he is ours on a permanent basis. The day after his 89th minute winner had secured three hard-earned points at Blackburn Rovers, it was announced that Jansson’s loan deal with Torino would be made permanent in the summer, for a sum of £3.5 million. It is more than Leeds have paid for anyone in nearly 15 years, but it is still a complete bargain in today’s market, and the most important thing is that it sealed the deal, the circle of love was complete and we are now stuck with each other, for better or worse. We have even invited Pontus over for a pint in the Old Peacock now he is settled in Leeds, and he would be following in some esteemed footsteps, not least one Vincent Jones, if he were to spend a post-training afternoon with us over a pint or two. Of course, the hope now is that Jansson can play his part for the rest of the season and beyond, and while he is happy to take the limelight and be at the forefront of Leeds United’s charge to the play-offs, Garry Monk and the rest of the team are quietly going about their business. February sees three home games for us to navigate at the Old Peacock, starting with a double header of Cardiff City (Saturday 11th) and Bristol City (Tuesday 14th) followed by another Yorkshire Derby against Sheffield Wednesday (Saturday 25th). By the end of that run of games we should have a much clearer idea of where Leeds stand in their pursuit of promotion. The nagging feeling is that the top two automatic spots are just that little bit out of reach, but all we can do is keep the momentum going and make sure we are as close as possible should either Brighton or Newcastle falter. At the Old Peacock we are looking forward to this run of home games, as it seems 2017 hasn’t quite got going yet with no big Saturday games for us so far. Rest assured we will be ready, and while we have no big plans for romantic set meals for two on Valentine’s Night, because the pub will be ram-packed with you lot creating a very different vibe, we are quite content that Pontus is leading us and love is very much in the air.